Spain is growing faster than expected and creating more jobs. But exports are stalling due to the weak euro zone recovery, and growth is driven by a pickup in internal demand, which is boosting imports. The pattern isn’t sustainable over the long term. 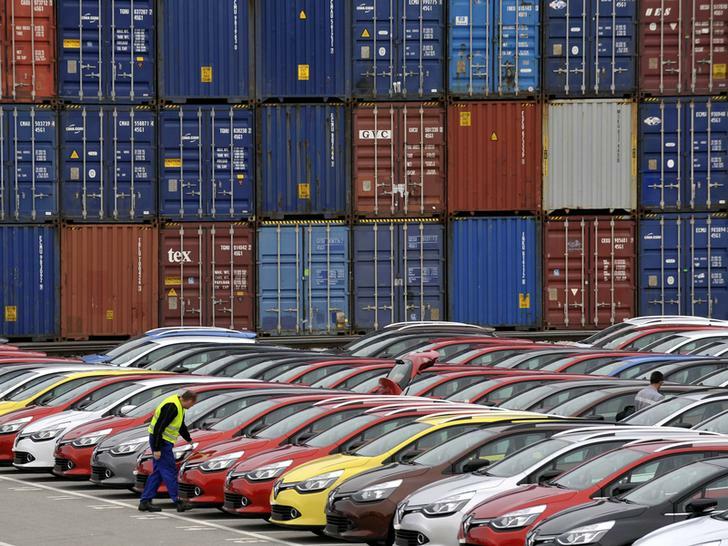 cars in front of ship containers. The Spanish government expects GDP to grow 1.5 percent this year and 2 percent in 2015, up from 1.2 percent and 1.8 percent, Economy Minister Luis de Guindos said on July 29. Meanwhile, Spain’s GDP grew 0.6 percent in the second quarter relative to the first quarter, faster than the 0.5 percent estimated by the central bank. Spain’s unemployment rate fell 24.5 percent in the second quarter, its lowest level in two years, the National Statistics Institute said on July 24. The Bank of Spain on July 23 estimated that Spanish GDP grew at 0.5 percent from April to June. The central bank revised its estimate for GDP growth next year to 2 percent, from 1.7 percent.